I am so excited to welcome everyone to Mustang Mountain — home of Central Arkansas Christian Schools’ secondary campus. CAC has a rich history and a beautiful story, and it’s exciting to think that we are now part of that story. Thank you for your support, enthusiasm and school spirit. 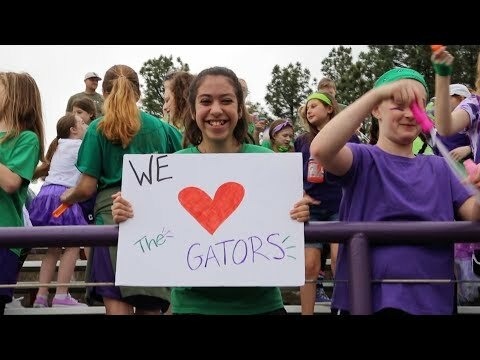 Our mission at CAC is to provide each student the highest quality academic, spiritual, social and physical education in an encouraging Christian environment. Our students’ ACT scores rank above the state and national average on a consistent basis, and CAC has been blessed to have at least one National Merit Semi-finalist nearly every year. Additionally, our fine arts department is known for outstanding performances, with many students competing interscholastically as well as participating in community music and theatrical workshops and performances. In addition to daily Bible classes and daily chapel, many of our students participate in Mustang Missions to serve those around us. One of the highlights each year is our ACCESS Gators day, where our students come together to serve student athletes from the ACCESS school. At CAC, we are family. Our students and faculty push each other to serve and participate in as many school activities as possible. To kick off each year and to quickly develop relationships, our first school event is The Wave. Every year, nearly half of our student body is involved in multiple extra-curricular activities. CAC teams have garnered numerous athletic championships at every level of competition and have seen several students compete at the collegiate level. We are looking forward to another successful year here at CAC. Thank you for entrusting us to educate your child wholly — mind, body, heart and soul. CAC is a special place and I can’t wait to see what’s in store for this year. Thanks for being part of our journey. CAC offers a curriculum that is both academically challenging and spiritually encouraging. From our pre-K and elementary programs, to the wide range of advanced courses offered at the secondary level, each class at CAC teaches students the skills to be confident, critical thinkers and prepares them for success beyond our hallways. Get a first-hand look at a day inside CAC classrooms by watching CAC All-Access: Secondary Academics.